Let’s start with the news that is circling the globe at record speed! If you own a Selfie Stick, and plan to use it at Walt Disney World, don’t bother. 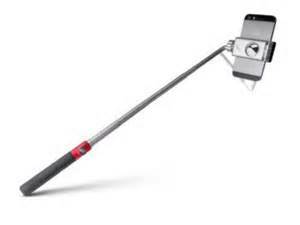 Beginning on June 30, 2015, Selfie Sticks will not be allowed in any Walt Disney World parks or DisneyQuest. Due to several guest complaints involving safety concerns, WDW felt it was safer to ban the sticks completely. I find this news to be amazing because every news source I come across is talking about this decision. It is expected that this move will ripple it’s way around ALL Disney Parks Worldwide in the next few months. Vacation packages for Walt Disney World in 2016 have been released and are available up to 499 days prior to your arrival. That means that you can currently book through mid-November. There are no special discounts, so far, but if you know you are going, book now and apply the discounts later! There are several changes to the packages. * First, you can now book and pay for a trip with as little as ONE DAY either online or by phone. This applies to the remaining 2015 and all of 2016 packages. *Payment due dates have changed. You can now apply a $200 deposit up to 31 days prior to arrival. Full Payment is due 30 days prior. The previous was 45 days. *Enhanced Miniature Golf with four (4) vouchers per package for use at Disney’s Fantasia Gardens or Disney’s Winter Summerland miniature golf courses. 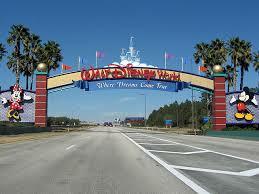 *Four passes per package to visit ESPN Wide World Of Sports, good for admission for one day per guest. *Splitsville discounts have been cut from 20% to 10%, but there are no restrictions. *Removed are the Arcade Game Cards, Bongo’s Cuban Cafe Discount, Children’s Activity Center discount, Disney Tours discount, DisneyQuest Discount vouchers, Fulton’s Crab House discount, Horseback Trail Rides Discount, Guided Bass Fishing Excursion or Bass Nitro Fishing Excursion discount, Paradiso 37 discount, Spa Treatments and Salon Services discount, and Walt Disney World marinas discount. The courtesy hold on packages booked through Vacation Planners has been reduced from 7 days to 3 days. If you book through a planner, you will have to make a decision a little quicker or loose the reservation. Also, keep in mind that the deposit/changes guidelines are for the Disney Travel portion of your vacation. Any fees governed by third parties may have other guidelines, so make sure you are aware of those, also! With the D23 Expo rapidly approaching, I wanted to take a moment to just speculate a little about news that may, or may not, come out of this year’s event. Let me just say how much I wish I could be there, myself! Keep in mind that these are just guesses on my part. What about you? What are you hoping for out of D23? Let us know in the comments below! Until next time, have a Blessed and Magical day!